Editor’s note (9/6/18 at 6:10 PM ET): According to one source on Twitter and an article article citing it published by CNBC, Martin Chavez, the CTO of Goldman Sachs, denied the business insider report, calling it “fake news” at Tech Crunch. Futurism reached out to Goldman Sachs for comment. The organization repeated its previous statement on the matter (quoted below); as for what their CFO said, a spokesperson declined to elaborate. BYE, BYE BITCOIN. Goldman Sachs giveth, and Goldman Sachs taketh away. In May, the finance institution announced plans to launch what would have been Wall Street’s first bitcoin trading operation. Now, not quite four months later, it seems to have gotten cold feet and will be ditching the plan. That’s according to a Business Insider report published Wednesday. Goldman hasn’t confirmed the report, but the news still sent the value of bitcoin plummeting. TOO RISKY. According to Business Insider’s sources, Goldman Sachs had hoped that by now the government would have established regulations to protect banks from some of the risks associated with trading crypto. It hasn’t yet, so for Goldman, the path forward might seem just a bit too treacherous. 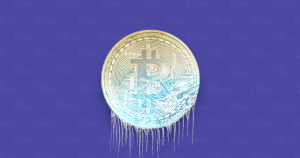 Soon after the release of the report, the value of bitcoin fell almost 6 percent. However, Brian Kelly, founder and CEO of crypto hedge fund BKCM, is more worried about the long-term impact of Goldman Sachs’ about-face. “They were not a part of the ecosystem yet, but to the extent that they represent the institutional herd [of mainstream financial institutions], this is a negative,” he told CNBC. A TEMPORARY SETBACK. If the report is to be believed, Goldman Sachs isn’t giving up on crypto forever — it’s simply moving a trading platform down its list of priorities. If regulatory waters calm, the bank could jump back on the bitcoin bandwagon, and given the U.S. government’s increased interest in crypto, the wait might not be all that long.